David and I are really working hard to get photography mode in place for the PlayStation Experience build. More info on that soon. In the meantime, here’s the design for the banner of my booth at PSX. Just submitted it to the printer. 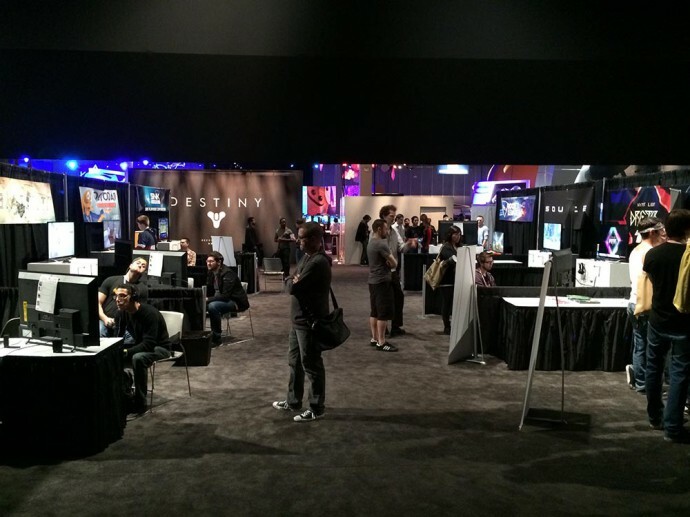 Saturday was the first day of PSX. The show floor hours for the public was 10 AM to 9 PM, so it was quite long. The jug of water makes you look pretty ridiculous, but it’s important to stay hydrated. In fact, the guys next to me at White Paper Games also brought jugs of water on the following day. I arrived at my booth at around 8:30 AM to set up. 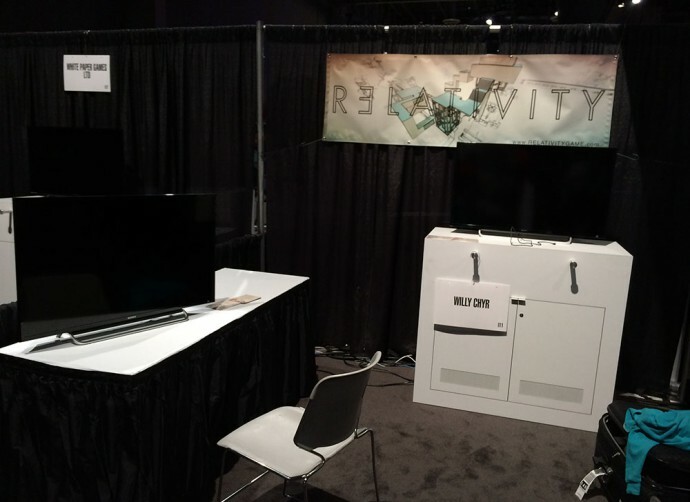 It only took half an hour to get the booth ready, but I wanted to give myself some time to check out other games. My most anticipated title was The Witness, and I did get to play it for about 20 minutes. It was exceptional. Even with the little amount I played, I can tell this game is going to be really great. I was actually quite skeptical at first, as I couldn’t quite tell what the game was about from the early footage that was released. However, after the play session, I was totally convinced, and have not been able to stop thinking about it since. Anyway, even though the hall opened at 10 AM, it was pretty quiet until 11:30 AM. This was because the PlayStation keynote was happening then, so most people were at that. Once the day got going, there was a pretty good flow of traffic. 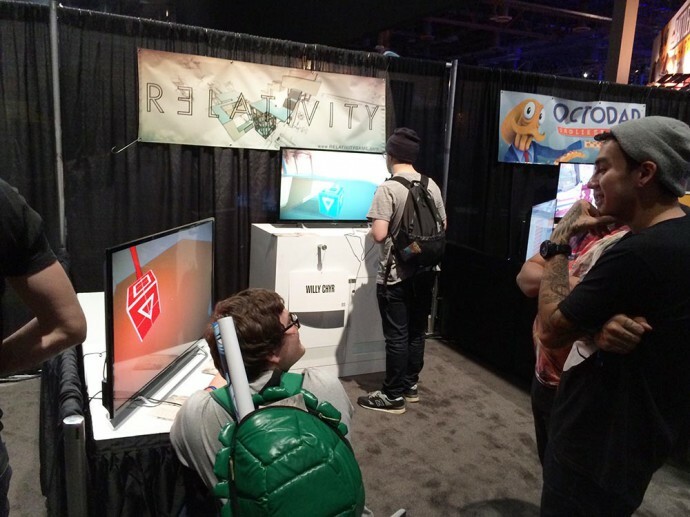 It wasn’t crazy packed like at PAX, so people actually got to play for pretty long periods. The demo of the game took about 20 to 40 minutes to complete, and several people did finish it, which was a really great sign of me. 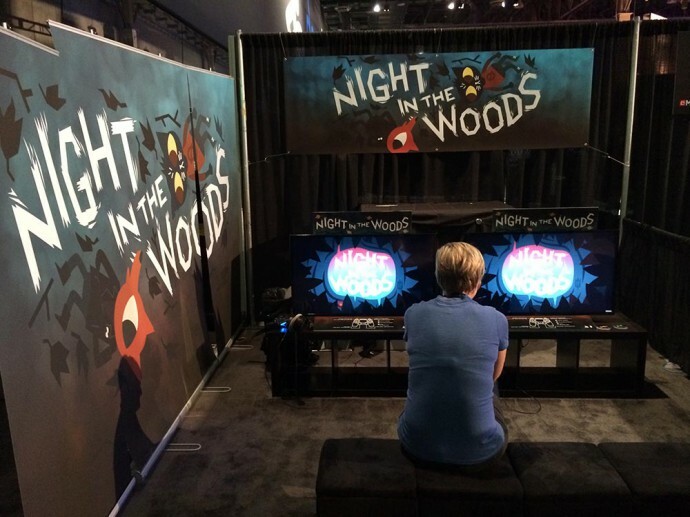 By the way, in the second picture, the person playing in back of the booth is Dan Gray, the executive producer on Monument Valley! He had some really positive things to say about the game and gave me his card. I was quite tired, so I didn’t stay for too long. I went to get dinner with a couple of other developers instead. 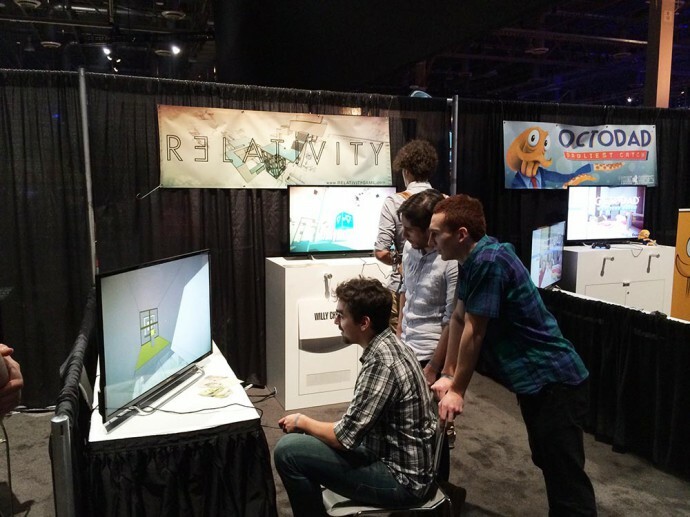 Back in October, a few days after Gamercamp, Sony invited me to show RELATIVITY at PlayStation Experience (PSX). Originally, I had intended for Gamercamp to be my last showing of RELATIVITY in 2014, as I had gone to about 14 conventions/festivals/conferences this year, and was feeling pretty exhausted. 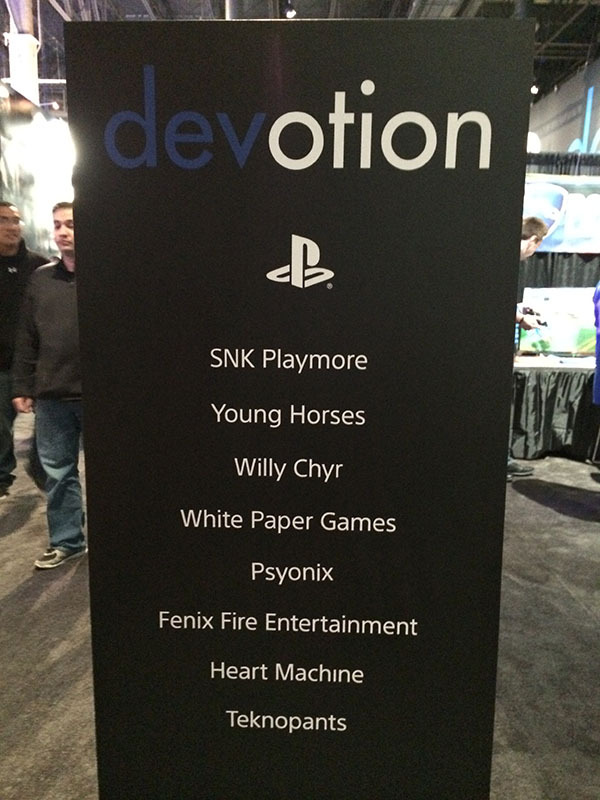 However, PSX was just too good to turn down. 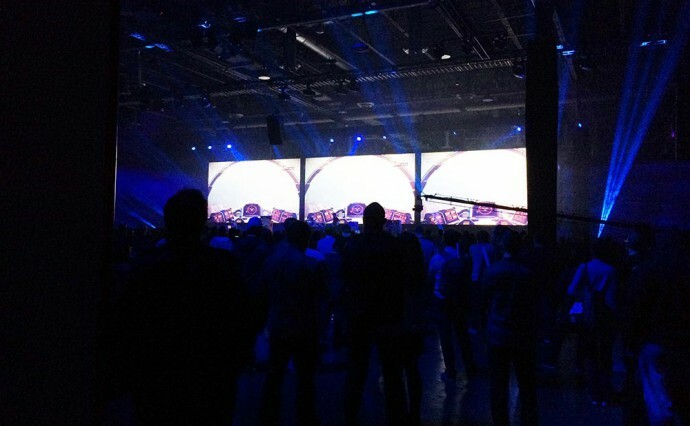 PlayStation Experience is a convention for PlayStation Exclusive titles. 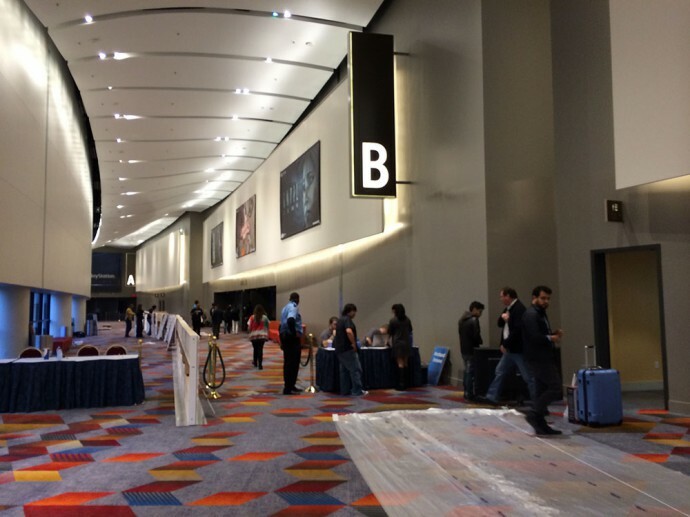 It’s the first year that Sony is organizing it, and it took place at The Sands Expo and Convention Center in Las Vegas. 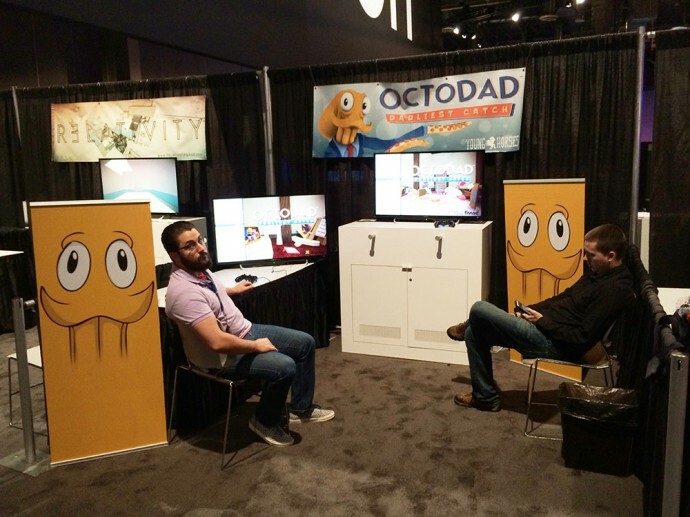 I arrived in Las Vegas on Friday around noon, along with fellow Chicago game devs Kevin and Phil of the Young Horses, who were there to show Octodad. One screen is in the back of the booth, and the other is on the side, facing towards the main part of the show. It took me a few hours to get set up. I had forgotten to bring HDMI cables, so had to go find somewhere nearby to buy them. I finally finished around 4:30 PM, and went to check in and get some rest in my hotel room. 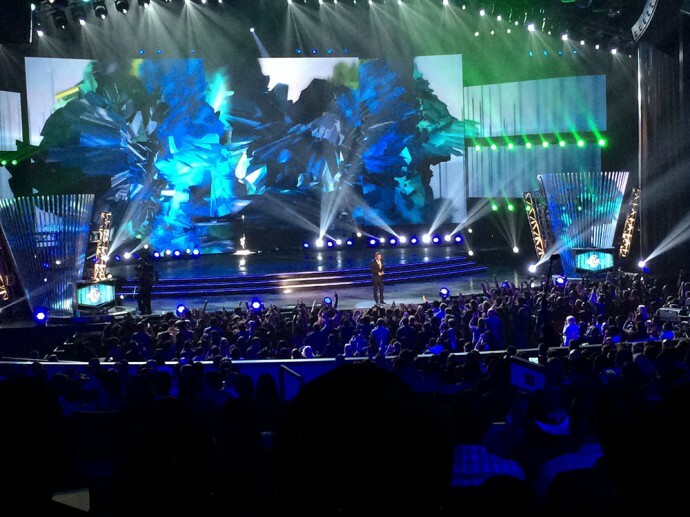 After that, I went to the Game Awards. It was at the Axis Theater and Planet Hollywood, about a 30 minute walk from my hotel. I had gotten a free ticket for it on account of being at PSX. There were a few cool moments, but mostly I thought it was too long (it ran for about 3 hours). I’m finally back in Chicago after quite a bit of traveling. Tokyo Game Show last week was a blast! I’m still trying to process everything, but here’s the post-mortem about my experience while my memory is still fresh. Back in May, I heard the news that Sony was covering the cost of booths in the Indie Game Area (IGA) at the Tokyo Game Show (TGS). It hadn’t actually occurred to me to submit to TGS prior to this. I had known about Sense of Wonder Night (SOWN) as Antichamber was shown there, but didn’t think I could justify the cost of going to Japan. However, often with these large conventions, the cost of the booth is the most expensive item. This was certainly the case for me at PAX East. So with the Sony sponsorship, I thought, this could actually work, so I decided to submit. The application deadline for IGA was June 11th. I submitted my application on June 10th. 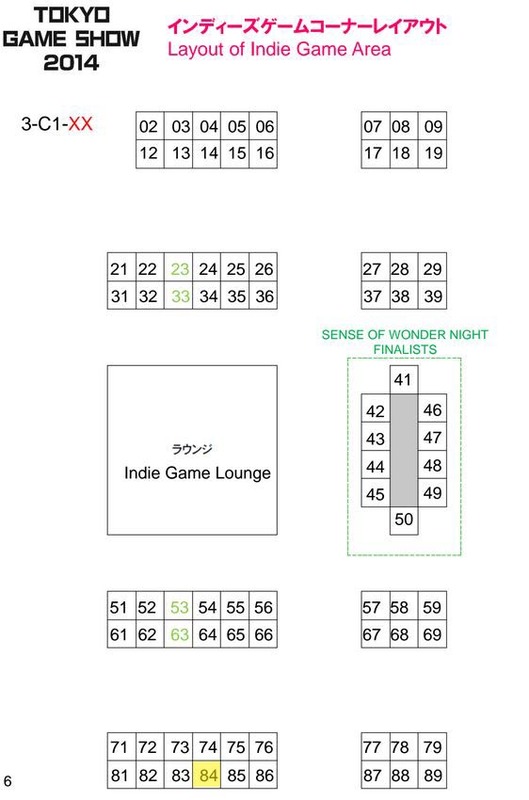 Sense of Wonder Night is an event that takes place at TGS as well, and is a showcase of 10 games, focusing mostly on experimental titles. It was actually inspired by the Experimental Gameplay Workshop at GDC. The application process for SOWN was separate from that of IGA, and the deadline was about a month later, on July 7th. 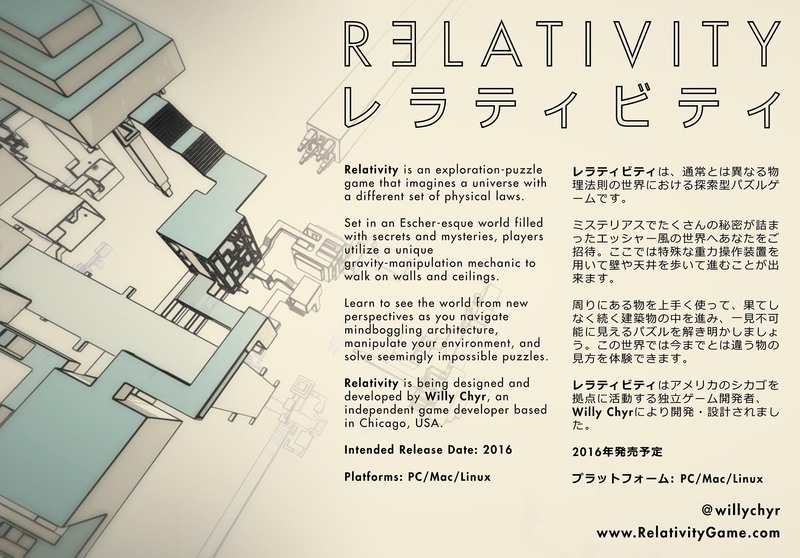 I also submitted Relativity to that. Neither IGA nor SOWN required a submission fee, which was really awesome. Only July 29th, I got an email from the Indie Game Area organizers saying that Relativity got in! To be honest, I wasn’t really expecting to get in, so had more or less forgotten about the event. Needless to say, when I got the news, I was not only surprised, but also quite excited and nervous as well. Up until now, I hadn’t seriously considered going to TGS, and I only had 3 days to respond and confirm (I needed to let the organizers know my decision by July 31st). Right away, I reached out to a few indie devs who I know had been to TGS, and also talked to other Chicago-based indies. “Japanese players are not crazy about western-looking titles, and indies games (especially for the PC) don’t do really well there”. 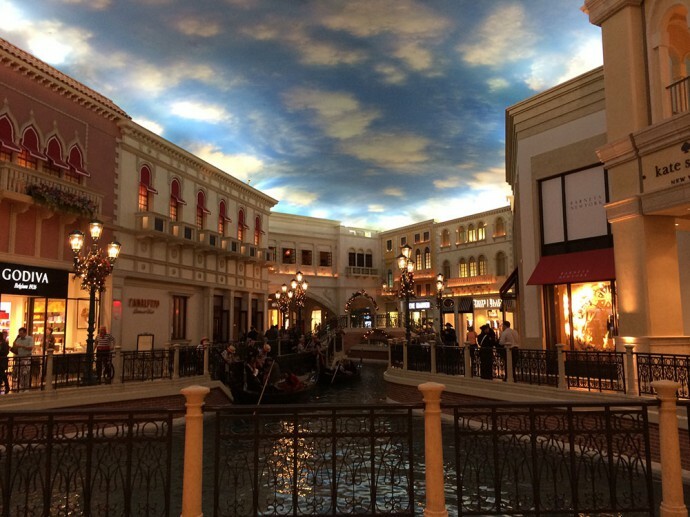 However, everyone unanimously agreed that it would be a fantastic life experience. 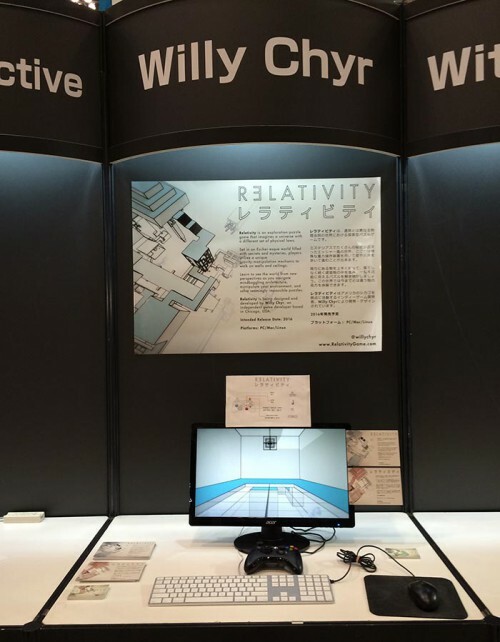 And if you’ve seen Alexander Bruce’s talk about the development of Antichamber, you’ll know that going to TGS and Japan in general was one of the most profound experiences for him as a developer. For me, development of the game is about the journey behind it, as much as it is about the game itself. To this end, I want to experience all the opportunities that are available to me. I’m not doing this just to make a game – I also want to meet passionate people, go places I wouldn’t have gone before, and grow as a person. I’m still pretty far from release, so I’m not looking to make sales at the moment. My main priority is still to get feedback on design. TGS would be a great opportunity to receive feedback from players coming from a totally different cultural background, and who have likely never heard of or seen the game before. I had originally planned to save up to exhibit at PAX Prime. However, when talking to a fellow indie dev, he pointed out that showing at similar conventions may not give you the same return each time. I’ve already shown at PAX East, and while PAX Prime is an opportunity to meet new fans, the demographic of the two conventions is quite similar. From a playtesting standpoint, I’ll probably see a lot of similar people at PAX Prime as I did at PAX East, so may not necessarily gain new insight based on players’ backgrounds. Another event I had been considering going to at the same time was Fantastic Arcade in Austin. I had submitted my game to that, and didn’t get in, but was thinking I would still go to meet other indie devs and get feedback on my game from them. However, as was pointed out to me, a lot of these devs I am very likely to meet at the other North American conventions, like GDC and IndieCade. And really, I can get feedback from North American indies anytime I want. At TGS though, I am much more likely to meet people who I would never meet otherwise. 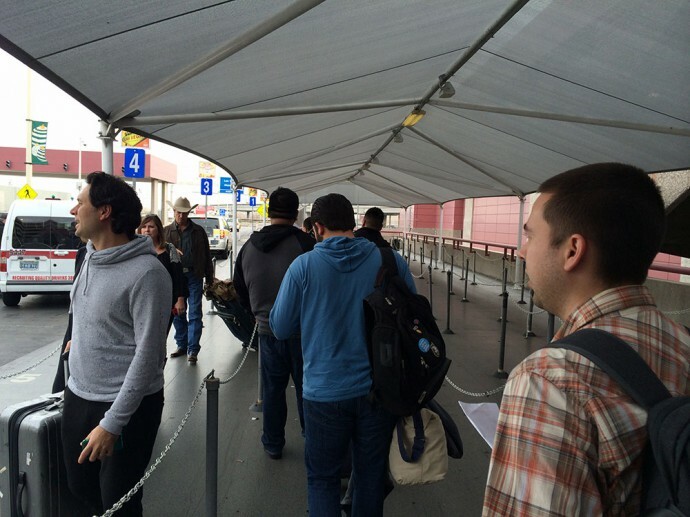 The life experience – While I’ve traveled to Japan twice prior to my TGS trip, neither were for work. 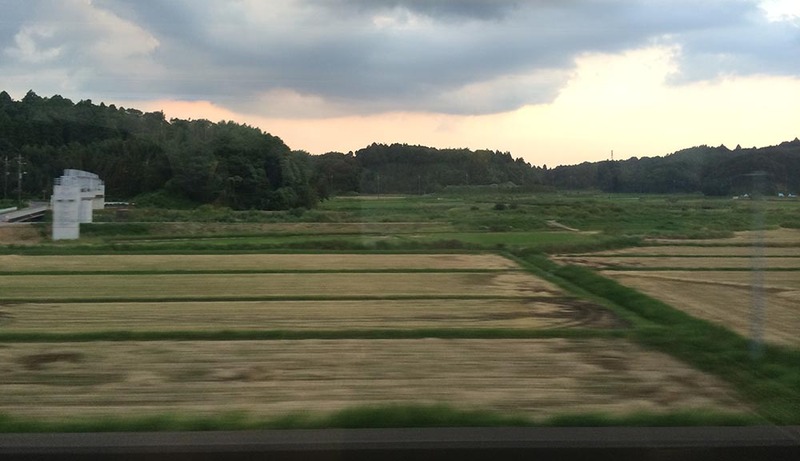 This seemed like it would be a fantastic way to see a side of Japan that isn’t a cookie cutter experience. Plus, as a game developer, going to Japan for a video game convention seems like such a cool experience. It’s the mecca! It’s not very often I get to travel overseas for work, so I didn’t want to look back and regret not taking this opportunity to experience something new. After I responded to the IGA organizers and confirmed I was going, it was time to get ready. I had about a month and a half before the show began, so there was no time to waste! One of the first things I did right away was to go to the library and check out a bunch of Japanese textbooks and audiotapes. 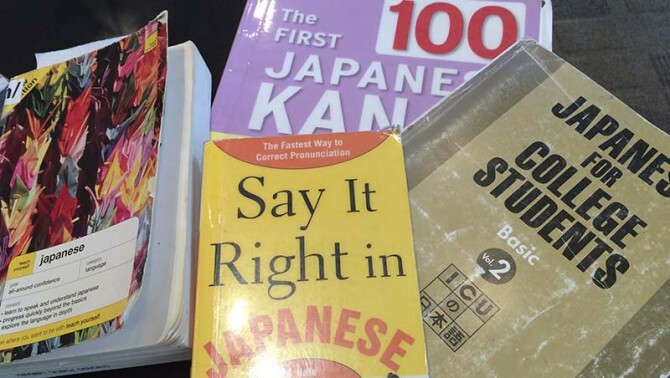 I started practicing reading and writing hiragana, and also started listening to the Pimsleur Japanese series – doing one episode a day. Now, as you probably know already, Japanese is an incredibly difficult language, and it takes people years to master. I wasn’t going to learn how to explain gravity shifting game mechanics in the span of 6 weeks. However, I did learn some basic conversational Japanese, like asking for directions, talking about eating and drinking, and this actually helped quite a bit when I was in Japan. 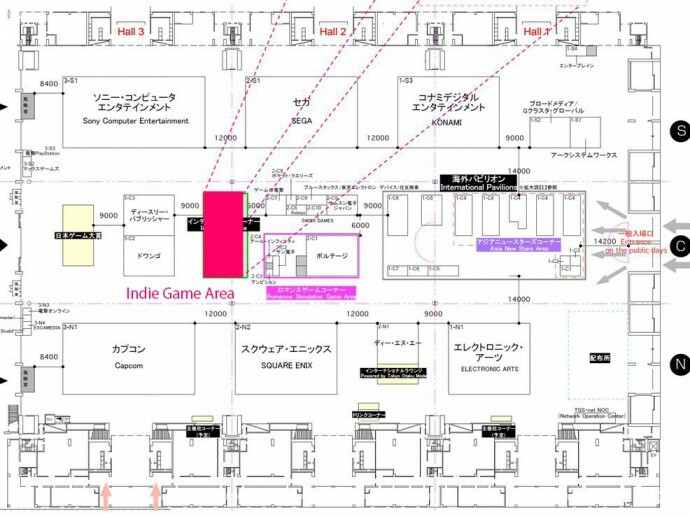 The Tokyo Game Show organizers emailed a PDF manual about what to expect in the Indie Game Area, and what the booth looked like. One of their suggestions was to have a poster. I figured since I wouldn’t be able to explain the game in Japanese, that I would put some introductory text on the poster to give people an idea of what the game is about, and a bit about myself. That way, if people have any questions, I can just point to the poster. It turned out I was the only one in the Indie Game Area to do this, and it worked really well! 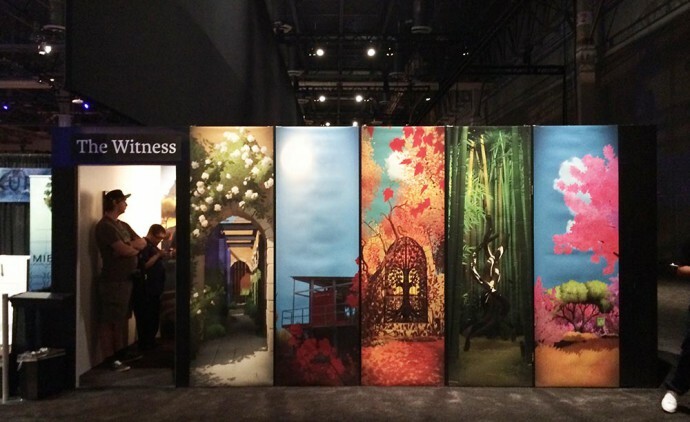 A lot of the booths just had a poster with an image and the game title on it. This would be fine if you were just showing at PAX, but this meant that a lot of Japanese gamers couldn’t tell what your game was about. Likewise, there were several Japanese indies that only had posters with Japanese on it, and I had no idea what their games were about. I got the same text printed on postcards, with the Japanese text on one side and English on the other. These were also really handy to have at the booth. Regarding translation for the English text, I ended up contacting a translator living in Japan based on a friend’s recommendation, and also reached out to Playism, a company that does game localization in Japan. I had actually met someone from Playism on the shuttle ride to the airport during GDC back in March. I only had about 200 words to translate – including the poster text as well as all the UI in the game, so it was pretty small translation job, and didn’t cost very much. Once I got the text back, I actually shared my designs on twitter and asked for feedback. Moppin_, a Japanese Indie gave me some really good feedback, and helped me tweak a few sentences to improve the flow of the text. Like many of you, I now find it very difficult to travel without cell phone plans. Seriously, how did people meet up or find places before cell phones!? As it turns out, getting a sim card in Japan is actually kind of tricky, as you need a Japanese address to do so. 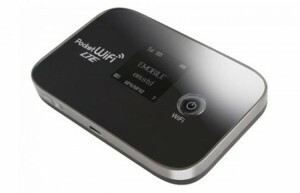 I did some research and decided that a pocket wifi device would be my best option. It’s basically a small device that can receive data, and you just set your phone to get wifi from that. I ended up going with PuPuRu, which I highly recommend. The cost is about 4 USD a day. On their site they have a map that shows the different areas in which they have coverage. I spent all my time in Tokyo and surrounding areas, and didn’t have any problems. If you do decide to get this, and want to have it right after you land in Japan, remember you need to book it about a week before you arrive. I had to let them know which flight I was coming in from and send them a copy of my passport. They sent the device in advance to the airport, and I was able to pick it up at the QL counter at Narita when I arrived. This was really convenient, as I was able to look up travel directions right after I landed. 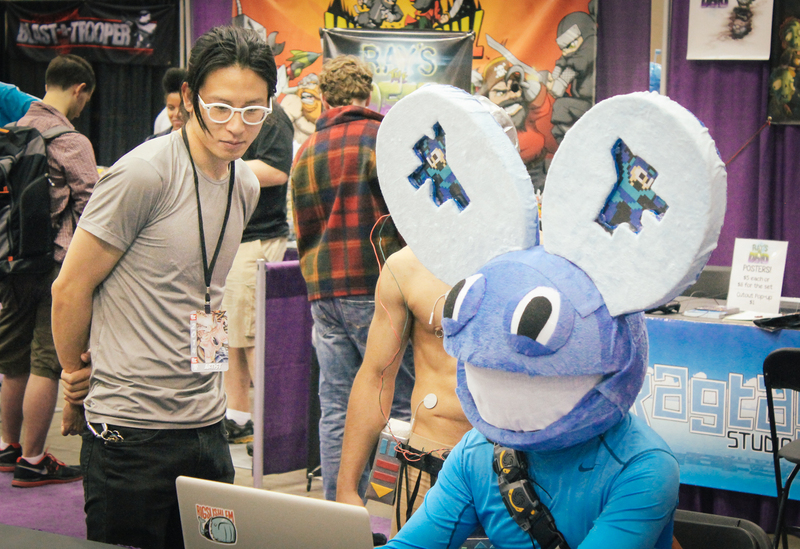 As a solo developer, I’m very much used to traveling to conventions and doing everything by myself. However, getting some additional help when exhibiting is always nice. 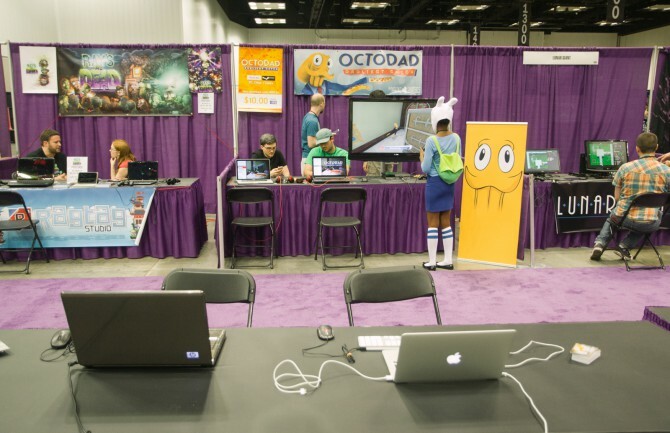 As an exhibitor in the Indie Game Area, you can get up to 5 passes for free. I reached out to Twitter and asked if there were any indies based in Japan who’d be interested in helping me out for a bit during the show in exchange for a TGS pass. Through this, I was introduced to Sagar Patel – a Kyoto-based Indie who is originally from Montreal, and who organizes the Kyoto Indie meetup. Sagar then connected me with his friend Alex, who is also based in Kyoto. 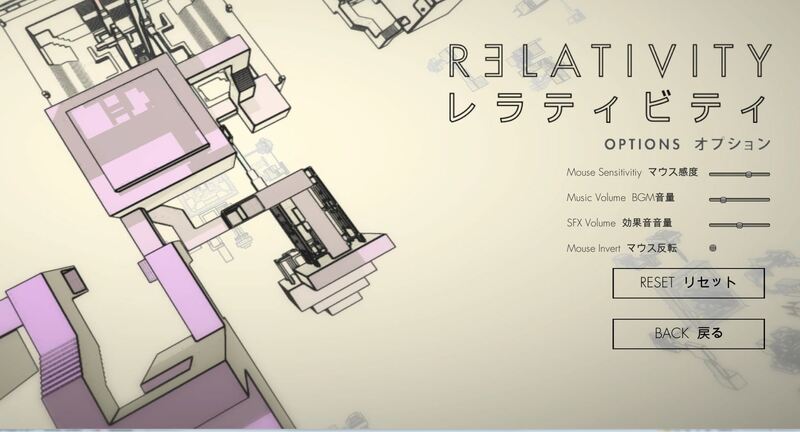 What little time I had outside of working on all the stuff above was spent getting the game’s UI localized in Japanese. I continued to use OnGUI instead of switching to the newest GUI system in Unity 4.6. Mostly this was because I didn’t want to run the risk of breaking anything, and even though OnGUI is not very efficient, I was at least familiar with it. I ended up hardcoding all the UI in both Japanese and English. This is not the best localization solution –the preferred method is to have the different languages in an XML file, and just call directly from that. However, I didn’t really have too much time to implement that, and since I don’t have that much text in the game, I just decided to go with the hacked solution for now. I do wish I had spent more time on optimization, as frame rate of the game running on my laptop was a bit of an issue. I arrived in Japan on Tuesday, September 16th, around 5 PM, after a 20 hour trip. My flight was from Chicago to Toronto, with a 6 hour layover, and then a 12 hour flight to Tokyo. This was actually pretty exhausting as my flight from Chicago was at 6 AM, meaning I had to be at the airport at 4 AM, so I just didn’t get any sleep the night before. On the other hand, I didn’t feel jetlagged at all when I landed. After I picked up my pocket wifi device, I took the Narita Express train to Tokyo, then transferred to the metro line, and went to Ueno station, near where my hostel was located. I checked in, and then grabbed a bite to eat at a restaurant nearby. 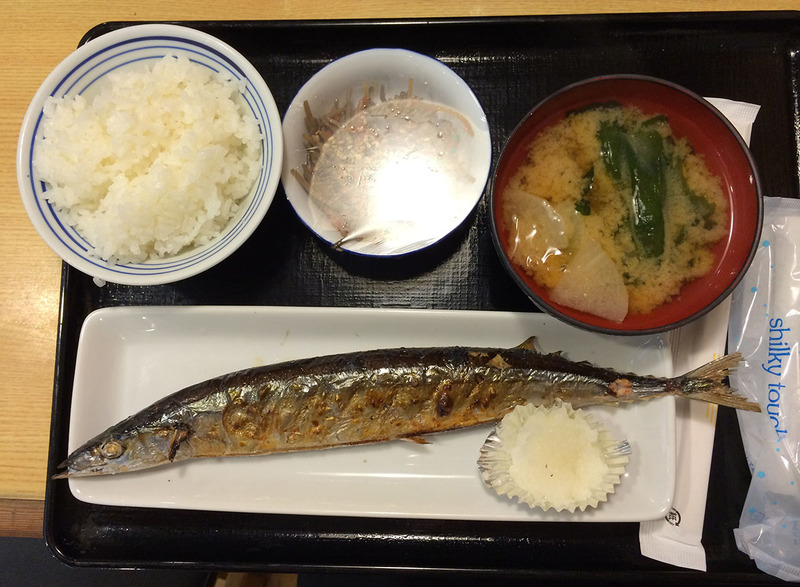 My first meal in Japan! After that, I headed over to Roppongi for Pre-TGS party organized by 8-4, a video game localization based in Tokyo, and they also have apodcast. 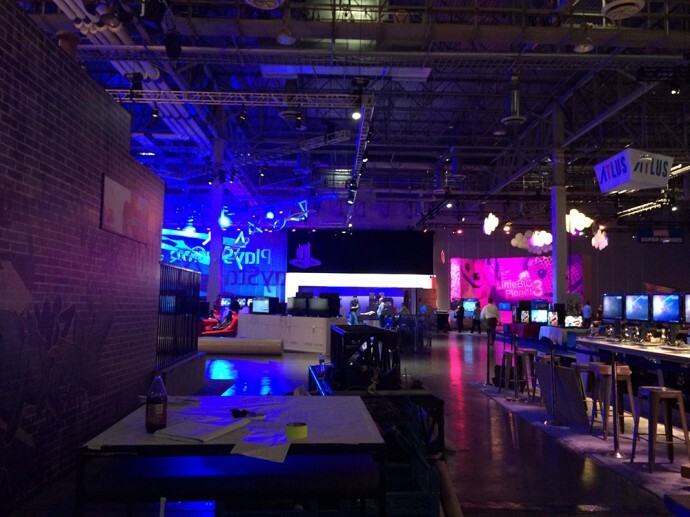 The party was really cool – a ton of industry people were there, both locals and people coming in for TGS. I also got to meet a lot of the indies who were going to be exhibiting in the Indie Game Area during the next few days as well. 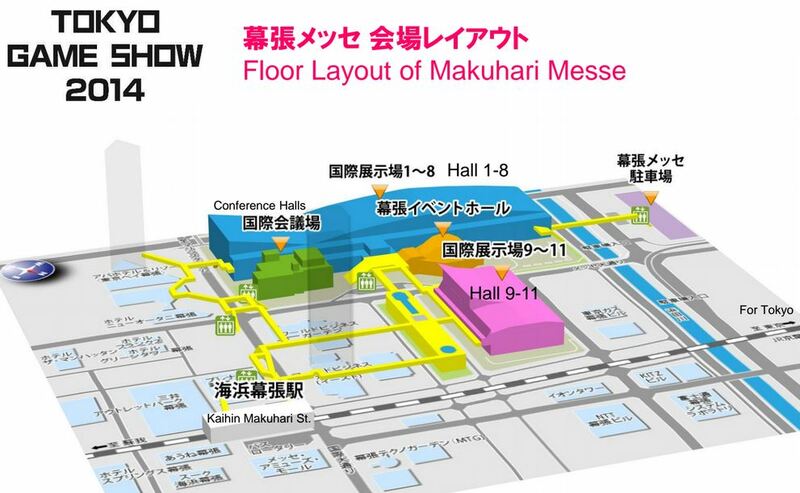 One of the options given to exhibitors is to set up your booth the day before TGS starts. You actually have to let the TGS organizers know that you want to do this by September 10th. I figured since I’m carrying a bunch of things, and would prefer not to panic on the morning of the show, I’d go in earlier to set up. The Tokyo Game Show takes place at Makuhari Messe convention center, and is actually in Chiba, which is about an hour outside of Tokyo. If you’re leaving from Tokyo Station, you need to take the JR Keiyo Line, and a one-way ticket costs 550 JPY. There were 7 halls in total for the expo floor. The Indie Game Area (in pink) was in Hall 3. 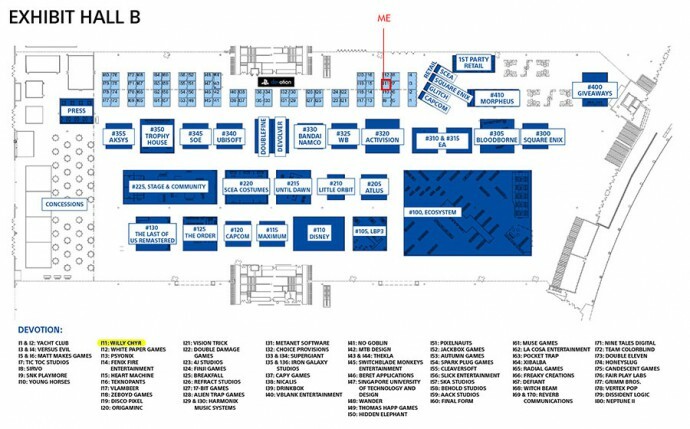 I was in booth 84, highlighted in yellow. 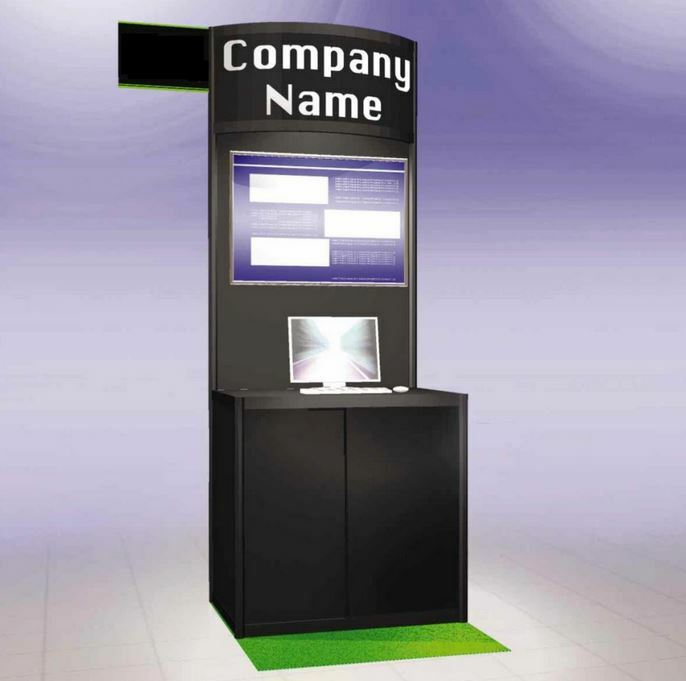 The booths are organized by alphabetical order. I was in between Wales Interactive and Witch Beam, who were awesome neighbors for the 4 days. 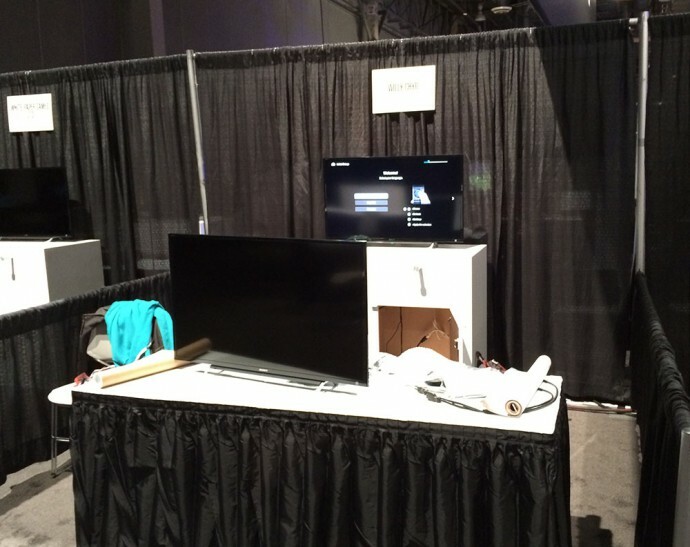 It’s better to rent a 26” TV from the convention center for 10,000 JPY (100 USD) instead of bringing your own monitor. I brought a monitor, and yes, I saved some money, but it is a serious hassle carrying a giant suitcase through the Tokyo train lines during rush hour. There’s also a ton of walking you have to do to transfer between lines, and some of the stations don’t have elevators/escalators. For all the trouble my giant suitcase caused me, I would have gladly paid for the TV. Plus, it was much bigger than my 21” monitor, and you don’t run the risk of accidentally breaking your monitor. Don’t use Scotch brand double-sided tape, it doesn’t work very well, and it leaves a mark. I bought some double-sided tape from a convenient store while in Japan, and it worked way better. 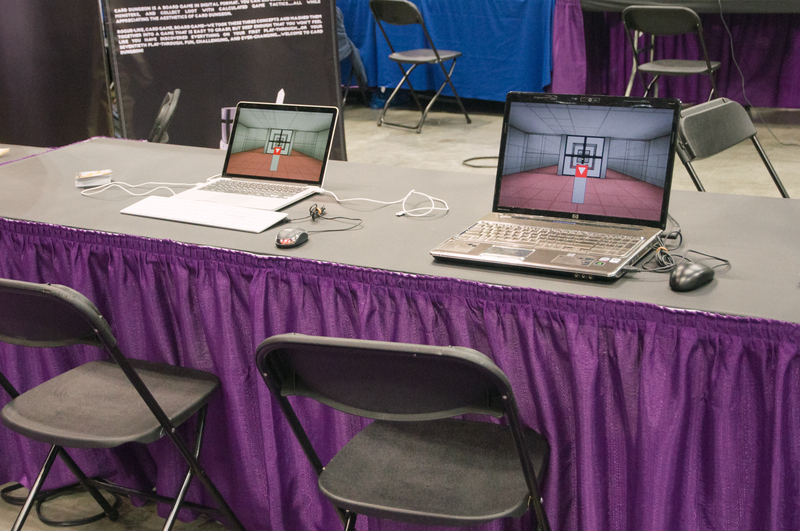 The booth only provided two outlets – this wasn’t enough as I had my laptop, the monitor, speakers, and phone charger. I asked if I could have extra outlets, and soon enough, two workers came and installed them for me. What I didn’t know was that this actually cost 3500 JPY (35 USD), and on the last day, I got a bill unexpectedly. If I had known, I would have just gone out and bought an extension cord. Oh well. It took me about an hour and a half to get set up. Most of the problem was because I was originally using Scotch brand double-sided tape, and it wasn’t very effective, so the poster kept falling off. 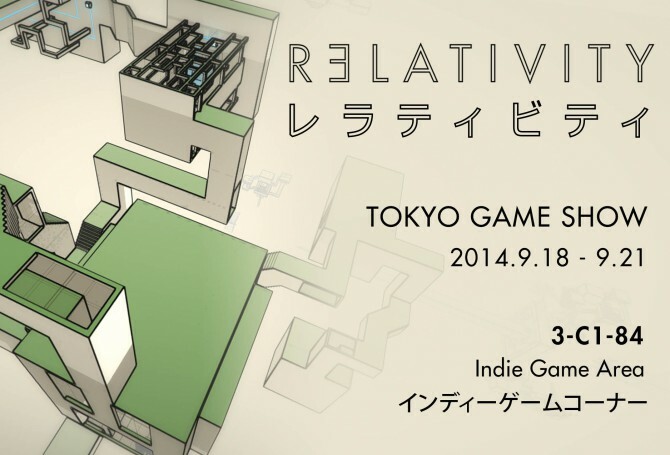 Relativity will be at the Tokyo Game Show this year! If you’re going to be there, come say hi and check out the latest build! I exhibited Relativity at Indy PopCon this past weekend, and decided to write up a bit about my experience. Indy PopCon is a pop culture and comic convention that took place in Indianapolis, at the Indiana Convention Center from Friday, May 30th to Sunday, June 1st. This was its first year, and I initially heard about the conventions from the guys at The Amiable. 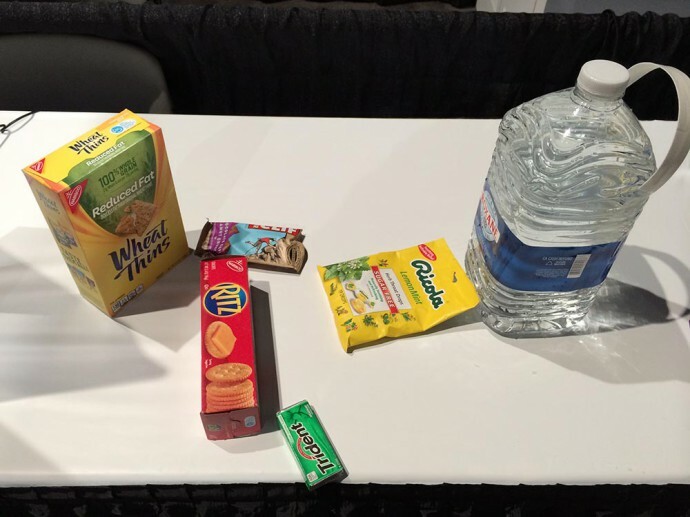 At the time, I hadn’t been to a convention before (this was before I even got into the Indie MEGABOOTH at PAX East), and didn’t really know what to expect. However, I had heard from other developers that conventions are really useful for a number of reasons, and since this one wasn’t very far away, and was relatively inexpensive, I decided to go for it. By the time Indy PopCon rolled around, I had already shown the game at IndieCade East’s Show & Tell, and also at PAX East, so I had a much better idea of what I wanted to get out of the experience. Primarily, I wanted to test out the new design changes I had implemented after PAX East, to see if they are effective, and if I’ve resolved the issues I had witnessed then. Since IndieCade East back in February, I’ve been on an intense cycle of playtesting & iterating. 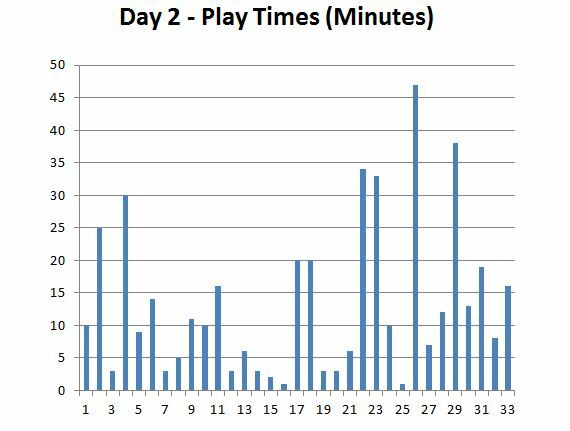 Every month, I’ve attended at least one public convention, and each time, it has allowed me to pinpoint different problems with puzzle progression and pacing. At PAX East, the introductory section of the game was quite good, but I did notice about 4, 5 areas that caused hiccups, and resulted in players getting stuck for longer than necessary. Since then, I had introduced recursive world space, rearranged some of the puzzles, and also tweaked the architecture in the puzzles. I wanted to use Indy PopCon as an opportunity to see if these changes fixed the problem. With this in mind, and the fact that the game is still a bit ways away from release, I wanted to keep the booth very low-key. I wanted to see how people who hadn’t heard of the game before, and no idea what it was about, how they would react. Indy PopCon was very different from PAX East. For one thing, it was magnitudes smaller. In large part, this was because it was its first year in operation. 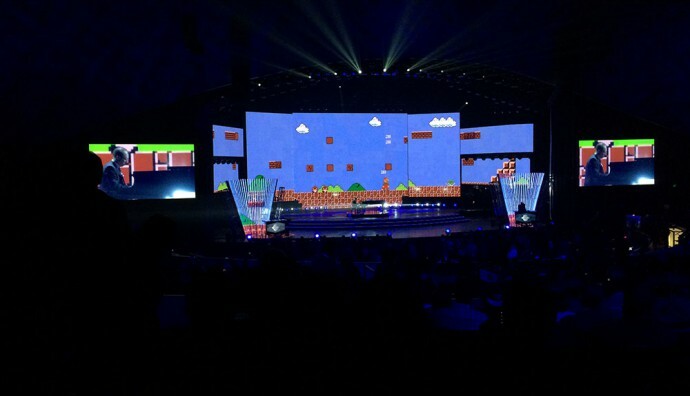 Another big difference is that it wasn’t a game-specific convention. There was only a small section made up of game developers (around 25 booths/tables). The majority of the booths from what I could see were related to comics, toys, cosplayers, and other internet stuff. This meant that you had a lot of people who attended to see comics or other things, and who had no interest in games. This was very noticeable, especially on Friday morning (the crowd on Friday is very different than the ones on the weekend). 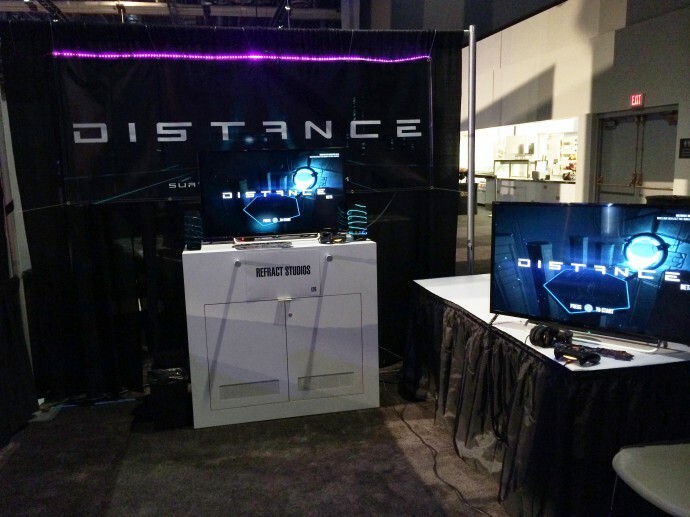 At PAX, out of the many people I asked to try out the game, I can only recall one person who turned me down. Almost everyone there is interested in games and willing to at least give something a try. At Indy PopCon, I think the first 6 or 7 people I asked just said no right away. It was bit of a rough start. Things got much better later that day, as well as throughout the weekend, but I think it’s indicative of the attendee demographic. Generally, I don’t pay too much attention to analytics, as I don’t think they’re an accurate way to assess the design of a game. I won’t go into the specifics here, but will just link to this GDC talk from Alex Bruce, in which he talks about some of the problems of letting analytics guide your design. However, one number I’ve found to be very helpful, especially in convention settings, is seeing how long people play the game for before they stop. The reason why this was important to me, was I wanted to gauge how long the game can keep people engaged in an environment that is quite distracting, with lots of things competing for their attention. 2) They get to a point in the game where they realize a much larger time commitment is required. 3) Their friends are waiting for them and want to move on. You can see it was off to a slow start. Several people tried it for a few minutes, and then got up to leave. I think this was largely due to the fact that the convention had just started, so a lot of people are just trying to get an overview of what’s around. I also noticed that many of these people tended to be much older. As the day went on, I started to have more people sit down and play the game for longer. 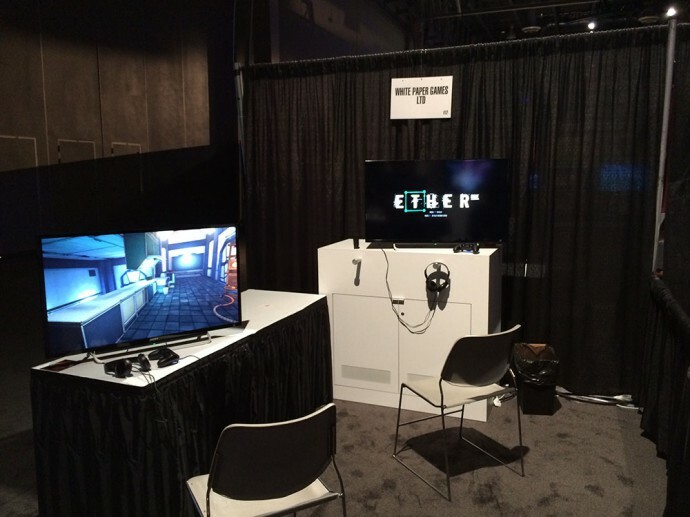 They also tended more to be “gamer-types”, and were already interested in the premise of a first-person puzzle game. On Saturday, the crowd at the convention was significantly larger. There also seemed to be many more gamers on that day. You can see that both the number of players and their playtimes increased. One thing I noticed is that if people got past the first 2 puzzles, they would then keep playing, usually until they got to the exterior of the level, which is the first milestone. There were a few people who only played for a minute or so. For me, this doesn’t really factor into my consideration for design – most of them were just interested in trying things out very briefly, or just deemed that this wasn’t their kind of game (in the sense that some people only like FPS and others only like RTS). For me, the takeaway here is that once player get past the first few introductory puzzles, then they’re engaged. This is great sign for me, and indicative of the improvements I’ve made with regards to pacing. On Sunday, the crowd was smaller than the Saturday crowd, but still larger than the Friday crowd. The demographic was also very different, and people felt much more relaxed. My guess is that many of the attendees had already come on either Friday or Saturday as well, and so had already seen man of the exhibits and were therefore not in as much of a rush. You can see that despite the smaller number of players, the play time was longer. There was a 13-year-old boy who sat down without knowing anything about the game, and played straight through for 85 minutes. He actually got to the very end of the build, in which there was a level that I had just implemented. Since I hadn’t have anyone play that level before, it was ridiculously difficult and tedious. I just told him that he had pretty much beaten the game as it was, and there was no need to continue. To see that he got so far was really encouraging, and also allowed me to get some feedback on some of the later levels. There were also a few people that brought friends back to try out the game, which was awesome. 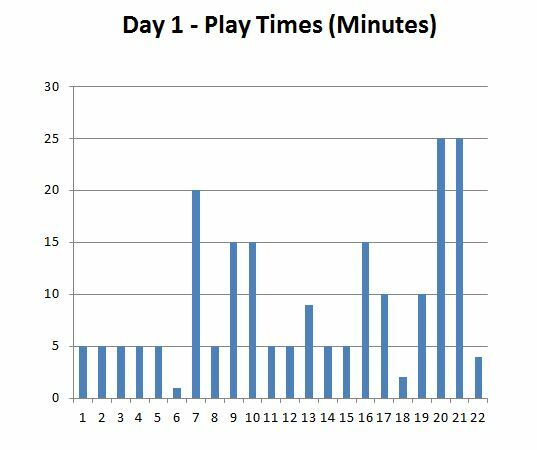 I didn’t keep track of playtimes during PAX East, but I think the average playtime there was closer to 10 minutes. All in all, Indy PopCon was a lot of fun and a very positive experience. 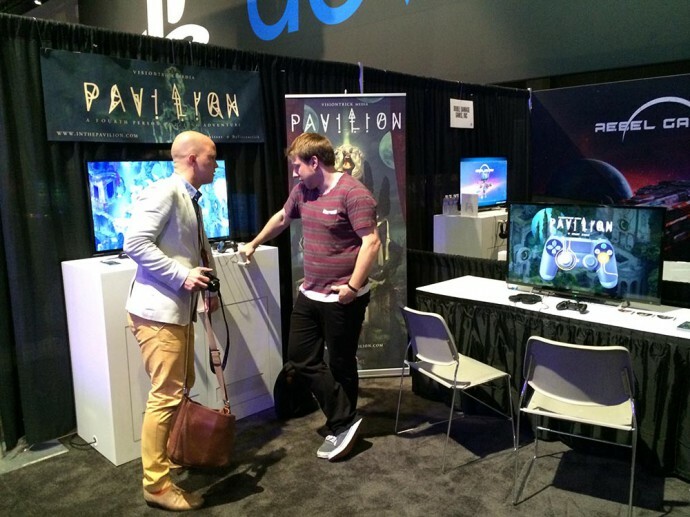 I got to hang out with a bunch of cool developers, met lots of fans, and got plenty of feedback on the game. I did notice a few areas which could be tweaked, but the parts in which players were getting stuck and giving up were fewer than at PAX East. 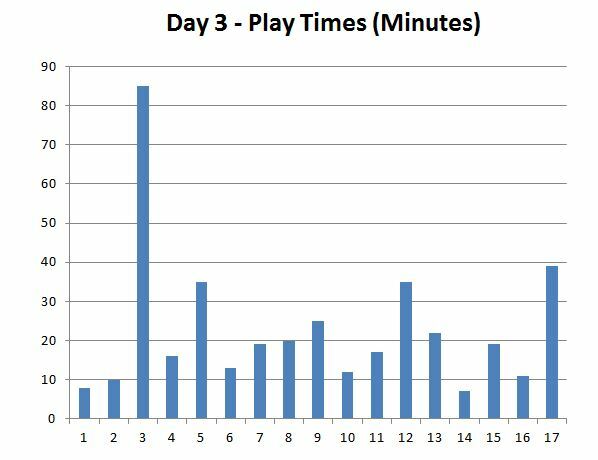 I think it’s definitely a good sign that the average play time has increased. Again, I want to emphasize that one should not read too much into these numbers. It’s important to understand context, who the players are, what kind of games they play, etc. It’s also important to not rely too much on metrics in design. In addition to recording the start and end times of the players, I also observed the players playing, and followed up with questions when they were done, asking for suggestions and feedback. This part was tremendously helpful as well. Just a quick note on logistics/prices of exhibiting at Indy PopCon, for those who are interested. The table was $150, and electricity was $80 ($10/amp, and I had two laptops estimated to draw 4 amps each). Also, special thanks to David Laskey of The Amiable for lending me a laptop for the duration of the convention.